We finally made the jump and got the van! After years of dreaming alone, years of dreaming together, we finally pulled together and bought a brand new hightop Dodge Promaster van to convert. It’s definitely been a little scary making the leap financially, but in the end it has worked out almost more perfectly than we could have imagined, and we are incredibly excited for the future. Convert it! The main goal is essentially a 2-stage conversion. Stage 1 (a more affordable conversion) is to build the van out for the next ~3 years on a bit of a budget, and incorporating features for our daughter who is 12 this year, and who will be joining us on many of our adventures. After a few years, we will be rebuilding portions of the van for the longer term. 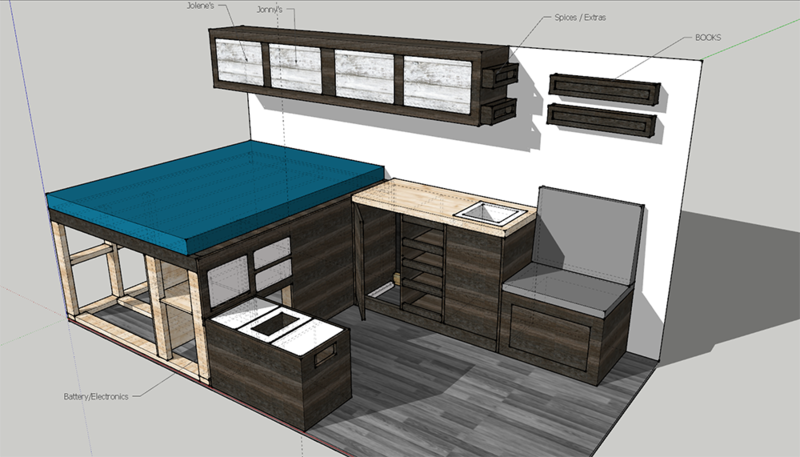 This will include a small shower, full propane hookups, hot water, and higher end electrical systems, among many other additions. 6 LED lights, switches, etc, and a set of strip lights. Stay tuned for more info as we build out the van! Hi guys. My wife & I were happy to come across your posts this morning. Nice job! We’re doing some serious thinking on doing a project like this, as last time we did it (~42 years ago1) it worked out great. Now we need the high roof. Have you more info available on your project? We live in Calgary also, so that’s a plus – as you said, it’s been tweaked for our climate.